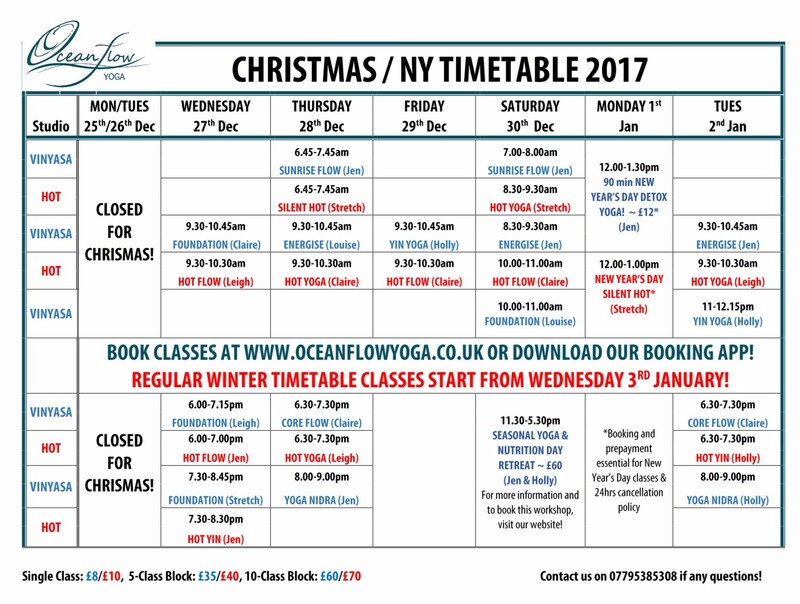 We are staying mostly open throughout Christmas & New Year for all your yoga needs! Check out our special YOGA NIDRA classes for a deep relaxation experience as well as DETOX & SILENT HOT sessions on New Year’s Day to kick off your year of good health and vitality. Use our online booking system to book your spots and see you on the mat!